Ideas for a successful diversification project, these are real life case studies of Michael's work across Britain. 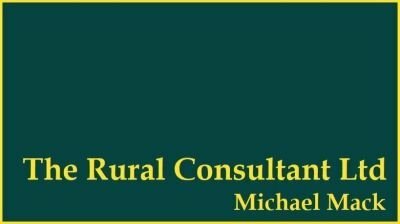 Michael has worked with Old Hall Farm for over 18 months providing strategic support to Rebecca and Stuart. This work began with them when they had just 7 cows and the idea of starting a new farm shop. During this time Michael has written business plans, drafted the planning justification statement and finally helped the family to secure grant funding. The farm shop and café is currently being built, cow numbers have increased and the business is selling amazing raw Jersey milk. Shropshire dairy farmers, Linda and Roger Edwards, set out to create a new income stream to the farms dairy to enable them to reduce reliance on milk sales. The grant application and planning approval had stalled. Michael was brought in to drive forward the grant application which was secured for a new campsite. Michael then pulled together the planning application process to drive the application forward to a successful outcome. The campsite build is just starting. Tim and Sue had developed an idea to create a new farm shop, bakery and café on their farm at Long Crendon Manor. Michael was initially asked to build a business case to back up the loan application through the AMC. Through the use of benchmarked data and local research a full set of financial data was prepared and used to successfully secure the loan funding. During the drafting of the business proposal, Tim found that being able to discuss ideas and thoughts through with Michael was a very effective way to both keep the business focused and to make effective decisions. The bakery and farm shop are now open and the café is close to completion. Blackheath Farm had worked for over a year to review its water security issues and to gain planning consent for a new 150,000 m3 reservoir for its farm on the Suffolk coast. Due to project delays, the opportunity for grant funding under the Productivity Grant was significantly time bound. I was invited to write the grant application and support it through the process with the RPA. The project secured grant support at 40% and is currently being constructed.